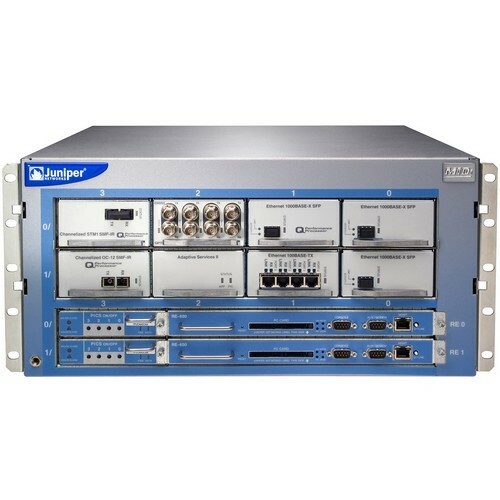 The Juniper Networks M10i router is the company’s most compact and cost-effective fully redundant M-series edge router. 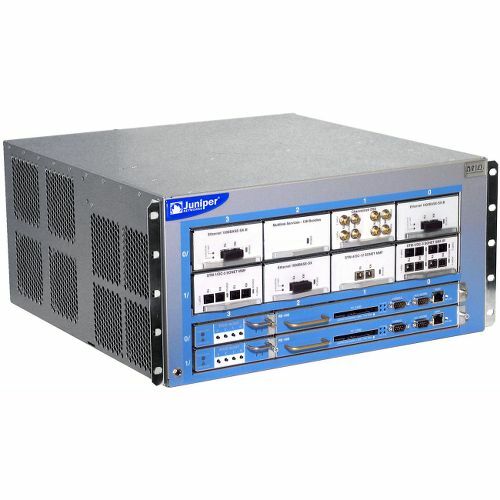 The M10i boasts fully redundant common hardware components including redundant Routing Engines, Compact Forwarding Engine Boards, fan trays, and power supplies. Combined with JUNOS reliability features, the M10i router is the product of choice for enabling reliable and secure services in small and medium PoPs. The M10i supports 8 ejector-enabled PICs via 2 built-in Flexible PIC concentrators, and interface speeds up to OC-12/STM-4 and Gigabit Ethernet. PICs are interchangeable between the M7i and M10i routers.